Discussion in 'Boxing Discussion' started by luisd, Apr 6, 2008. I have a request for people in this subforum. I'm looking for mentions of any fight you may know where an announcer introduces any fighter that is from or is fighting out of Mexico City, I've been looking for any audio of that for a while with no luck. If anyone can help, thanks. Either of the Marquez Brothers. 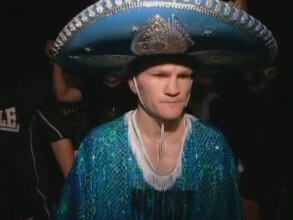 From the Ciudad de Mexicooo... Sultan Ibragimov? That last one is a little racist.